Heroin hotlines assist people in making a treatment decision for themselves or a loved one. They provide information on treatment options as well as how to pay for programs. They can look for options in your hometown or another city or state, if you prefer. It’s best to prepare for a call by having some key pieces of information handy. When it’s finally time to reach out for help to find the resources needed to treat an addiction to heroin, there are many options available. Treatment centers, counseling, and support groups are all tools that can help heroin addicts get clean and stay sober for life. Connecting with these resources on your own, however, can be difficult. This is where a heroin addiction recovery hotline comes in. If you or someone you know has a problem with heroin – or with any addiction – there’s no advantage in waiting to get the help you need. While there’s still time, call a heroin hotline to talk to a friendly, sympathetic professional who can point you in the direction of the local resources that will be able to help you overcome heroin addiction and start living clean and sober again. Heroin is an unusually addictive drug, even by the standards of illegal narcotics. It is an opiate, meaning it is synthesized from morphine that has itself been extracted from the sap of the poppy plant. Heroin is usually sniffed or injected and will cause enormous feelings of relaxation and calm. 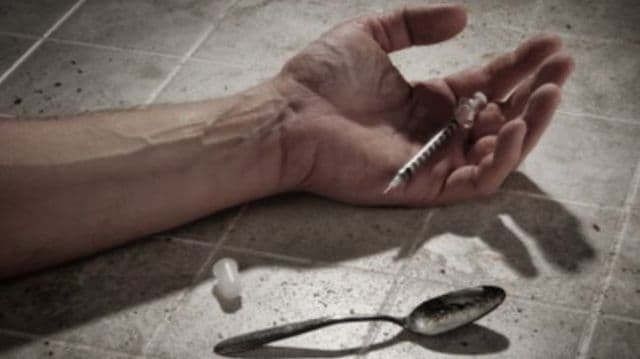 Though users may seek out heroin for these pleasant effects, the drug causes physical as well as psychological dependence and is frequently responsible for overdose deaths, emergency hospitalizations, and the transmission of blood-borne diseases, such as HIV and hepatitis C. The cravings associated with heroin withdrawal are severe, and the user’s fear of withdrawal is often responsible for their aversion to detox and rehab and recovery. Paraphernalia. The use of heroin usually involves a lot of equipment. Needles, bent spoons, and lighters are all used in the preparation and consumption of heroin. If these items are kept together, it suggests that they’re used together, as in the preparation of a dose. Weight loss. Heroin users often have a hard time sticking to healthy diets. Heroin, like other opiates, usually has the effect of suppressing the user’s normal appetite, leading to a rapid loss of weight and potential health problems as a result. Scars. People who have been injecting heroin are usually careful to minimize the scars left by the needle, but a certain amount of scarring is unavoidable with long-term use. These scars, or “tracks” cluster around the veins of the user’s arms, leaving a telltale mark of IV drug use. Money problems. Heroin is very expensive. It is certainly a rare addict who can afford to finance heavy use for years at a time. A chronic shortage of money, combined with the other symptoms on this list, indicates that the user may be spending his money on heroin. Options to help someone with a heroin addiction include rehab centers, individual and group therapy, and self-help/12-step groups. Rehab centers: These programs include inpatient and outpatient facilities that offer a structured program of recovery. Services usually consist of detox, therapy, group activities, and aftercare planning. Inpatient programs require the person to stay at the facility, while outpatient programs do not. Therapy: Individual therapy occurs on a one-on-one basis with a licensed therapist. The person works through issues surrounding their addiction and develops strategies to avoid relapse. Group therapy involves regularly meeting with a group of recovering heroin users to support each other and share experiences. Twelve-step groups: Common self-groups for helping heroin addicts include Narcotics Anonymous and Heroin Anonymous. Members meet to discuss their recovery and work with a sponsor to complete a set program of recovery steps. What type of substance/substances is the person using? How much are they using? How long have they been using? Does the person have any medical/mental health problems? Has the person been in treatment before? Are you looking for treatment in your area or in another area? Which type of treatment is best for my loved one? What type of payment options does the program offer? Does the program provide transportation to the facility? Being prepared for the call can make it run much smoother and make it easier for the representative to place your loved one in the best program possible. Finding a reputable heroin addiction recovery hotline is important so you can be put in touch with the right rehabilitation and treatment center in your area. The hotline should be staffed by caring and knowledgeable staff members who will listen to what you have to say. They should not make you feel rushed or ignored, nor should they be in the business of trying to sell you anything. While there are heroin addiction recovery hotlines out there that specialize in funneling people into very profitable private clinics, it’s important that you receive nothing but support and well-informed advice about what your next step should be. The right resources to overcome heroin addiction exist. If you’d like more information, don’t hesitate to call a helpline today.
. World Health Organization, Western Pacific Region. (2009). Clinical Guidelines for Withdrawal Management and Treatment of Drug Dependence in Closed Settings.